From 17 June 2013, you can access the new Update Service to carry out Status checks on an individual’s DBS Certificate and you may never need to apply for another one again. For a small annual subscription of just £13, applicants can have their DBS Certificate kept up-to-date and take it with them from role to role, within the same workforce, where the same type and level of check is required. Next time you recruit someone and need to get them DBS checked – why not ask if they are a member of the Update Service. If they are, you can with their permission, use their current DBS Certificate and carry out a free, instant online check to see if any new information has come to light since its issue. How do you access the Update Service? If you are entitled to carry out a Status check, after viewing the original DBS Certificate, you will be able carry out a Status check at www.gov.uk/dbs.  Instant online checks of DBS Certificates.  No more DBS application forms to fill in.  You may never need to apply for another DBS check for an employee again.  Saves you time and money.  Enhances your safeguarding processes and may help to reduce your risks.  Easy to incorporate into your existing suitability decision-making processes.  One DBS Certificate is all you may ever need.  Take your DBS Certificate from role to role within the same workforce.  You are in control of your DBS Certificate.  Get ahead of the rest and apply for jobs DBS pre-checked. The DBS will no longer automatically issue a copy of the applicant’s DBS Certificate to the Registered Body who countersigned the DBS application form. Employers will need to ask the applicant for sight of their DBS Certificate.  The applicant has not shown the employer their new DBS Certificate. If the individual has disputed the new DBS Certificate the DBS will not consider issuing a copy to the Registered Body until 28 days after the dispute is resolved. If the individual has disputed the new DBS Certificate, and the dispute is 'not upheld', the Registered Body must wait until 28 days after the dispute resolution date before requesting a reprint. This is to give the applicant time to show the DBS Certificate to the Registered Body /employer. At the same time as the Update Service becomes available, the DBS will use a new relevancy test when considering the release of non-conviction information about an individual. It will now be based on the type of workforce and no longer the actual job role. This change means that DBS Certificates can be taken from role to role within the same workforce i.e. when moving between jobs that involve working with children, adults, both or other. To accommodate this change the DBS has extended the Position Applied For field (X61) to include both lines of 60 characters on the application form.  X61 Line 1: Write in one of the following form of words to indicate the relevant workforce(s) i.e. Note: ‘Other Workforce’ must be written if the person is not working with children or adults.  X61 Line 2: Enter a description of the ‘Position Applied For’ up to 30 characters. Am I entitled to carry out a status check?  Do you have the applicant’s consent?  Are you legally entitled to the same level of DBS Certificate? Standard or Enhanced.  If you are legally entitled to a Barred List check does the DBS Certificate contain the one you require i.e. Children’s list, Adults’ list, both or none?  Does the DBS Certificate contain information which you are legally entitled to see such as Barred List checks?  Is the DBS Certificate for the right workforce – Child, Adult, Both or Other? This will be indicated in the ‘Position Applied For’ section and will show which workforce has been used to determine the relevancy of any locally held police information. o Child Workforce: any position that involves working/volunteering with children. o Adults Workforce: any position that involves working/volunteering with adults. o Child and Adults Workforce: any position that involves working/volunteering with children and adults. o Other Workforce: any position that does not involve working/volunteering with Children or Adults e.g. Taxi licensing. o Where the individual will be working with children only (not adults). o Where the individual will be working with adults only (not children). o The person will not be working with children or adults.  Are you entitled to a DBS check of the level and type as you are going to check the status of?  Do you have the individual’s consent to carry out a Status check?  If you have answered ‘yes’ to both questions, you can carry out a Status check.  If you are unsure go to www.gov.uk/dbs for guidance on checking your entitlement.  Go to www.gov.uk/dbs and search for the DBS Update Service.  Enter the name of your organisation.  Enter your forename and surname.  Enter the details of the DBS Certificate being checked. All of the details requested are mandatory. o Enter the DBS Certificate number. o Enter the current surname of the DBS Certificate holder (as specified on their DBS Certificate). o Enter the date of birth of the DBS Certificate holder (as recorded on the DBS Certificate) in the format DD/MM/YYYY.  You will be presented with the Legal Declaration.  You must tick the ‘I agree with the legal declaration’ check box to proceed.  You will be presented with the result of the check which you can print out and then store it safely and securely in line with the DBS Code of Practice. For more information go to www.gov.uk/dbs. o see what, if any, information that was revealed about the applicant and consider this as part of your recruitment process.  Satisfy yourself through robust ID checks that the person being checked is the same person as that is named on the actual DBS Certificate. You can then carry out the Status check and you will get one of the following results. This DBS Certificate did not reveal any information and remains current as no further information has been identified since its issue.  No new information has been found since its issue and can therefore be accepted as being still current and valid. This DBS Certificate remains current as no further information has been identified since its issue. This DBS Certificate is no longer current. Please apply for a new DBS check to get the most up-to-date information.  New information has come to light since the DBS Certificate was issued and you will need to apply for a new DBS check to see this new information.  You have not entered the correct information. Some organisations submit large numbers of DBS applications and will need to be able to check multiple statuses at the same time. Other organisations may not submit large numbers of applications but may still need to use a quick and efficient multiple checking facility. The multiple Status checking facility can be accessed by your organisation. It will enable you to make an unlimited number of simultaneous checks which will save you considerable time and will be easy to use. The process of implementing the connection that will enable the data exchange and multiple checks to take place should be quick for your organisation to implement. The DBS do not provide the front-end solution for this. Your organisation’s IT specialist will need to develop the connection and administration process. If you want to carry out multiple Status checks you can use the multiple Status checking service which is provided by a web service - sometimes referred to as an Application Programming Interface - called Restful Web. To use this web service your organisation will need to develop a front-end system to interact with the web service. If you are not an IT specialist you will need to speak to your IT department to develop this system. A web service is a standard mechanism for organisations to expose business functionality to their partners.  This technology allows IT applications to communicate with each other in a platform, and programming language, independent manner.  A web service is a software interface that can be accessed over the network through standardised XML messaging.  Output is typically XML which is easily interpreted and processed by software applications. What is the multiple Status checking web service URL? An invalid Status check will be indicated by a returned status response of ‘NO_MATCH_FOUND’. This will only occur if one or more of the inputs supplied do not match a DBS Certificate linked to the Update Service, or an organisation has failed to indicate that they have the authority of the individual being checked. An invalid status response is specific to the individual DBS Certificate therefore will not invalidate the multiple check in its entirety. If you are persistently presented with the rejection status and you believe that you have entered all details correctly, and you believe that the DBS Certificate belongs to a Subscriber of the Update Service, then you can contact the DBS on 0870 90 90 811 for further information. If the details entered can be matched to a DBS Certificate that is linked to an individual subscribed to the Update Service then the latest Status of that DBS Certificate will be displayed.  A returned value of ‘BLANK_NO_NEW_INFO’ relates to the status response ‘This DBS Certificate did not reveal any information and remains current as no further information has been identified since its issue’. This means that the individual’s DBS Certificate contains no criminal record information and no new information is available.  A returned value of ‘NON_BLANK_NO_NEW_INFO’ relates to the status response of ‘This DBS Certificate remains current as no further information has been identified since its issue’. This means that the individual’s DBS Certificate contains criminal record information but no further information is available.  A returned value of ‘NEW_INFO’ relates to the status response of ‘This DBS Certificate is no longer current. Please apply for a new DBS check to get the most up to date information’. This means that the individual’s DBS Certificate should not be relied upon as new information is now available and you should request a new DBS check. The status result only relates to the individual named on both the DBS Certificate and on the Status check result screen. No checks have been made against any third parties associated to this individual. This could have implications for individuals who are employed in home-based occupations in which third parties may be considered. 1. Will I still get a copy of the individual's DBS certificate when I apply for their DBS check? No. From 17 June 2013 the DBS will issue DBS Certificates to the applicant only. You will have to ask the individual to show you their DBS Certificate. 2. Why are you no longer issuing DBS Certificates to organisations? The Government changed the law which meant that the DBS can now only send DBS Certificates to the individual on whom the check was carried out. 3. Do I have to join the Update Service to carry out a Status check of a DBS Certificate? No. This is a free service for employers. 4. Do I have to use the Update Service or can I just keep getting the person to apply for DBS checks? This is an optional service. However, you may wish to consider the benefits of using this service. 5. How much is it to carry out a Status check? Status checks are provided free-of-charge. 6. Who can carry out a Status check? You can only carry out a Status check if you are legally entitled to carry out a DBS check and the DBS Certificate is the same type and level as you need. If you are unsure, please go to www.gov.uk/dbs for more information and guidance on entitlement. If you carry out a Status check you will be asked to confirm your eligibility to carry out such a check and be able to comply with the DBS Code of Practice. Full details are available from the website www.gov.uk/dbs. 7. What do I need to do to carry out a Status check?  Check the DBS Certificate is the same type and level as you need.  Check the person’s identity.  Check the name on the DBS Certificate matches this identity.  Get the person’s consent to carry out a Status check.  Take a note of the DBS Certificate reference number and the person’s name and date of birth.  Comply with the DBS Code of Practice which includes having a policy on the Recruitment of Ex-offenders and make this available to the person. A sample policy on the Recruitment of Ex-offenders is available from www.gov.uk/dbs. 8. Do I need to see the actual DBS Certificate when I carry out a Status check? Yes. You will need to have seen the original DBS Certificate to ensure that it is of the right type and level that you need and that you are legally entitled to. E.g. Enhanced with an Adults’ Barred List check. 9. Do I need the person’s consent to do a Status check? Yes. You will need their consent, verbal or written, to carry out a Status check. You may want to get consent each time you check or you could consider asking for ongoing consent – that will be up to you and the individual. The individual will be able to see who has carried out a Status check, and when they did so, from their online account. Further information is available at www.gov.uk/dbs. 10. Can an individual stop me carrying out a Status check on their DBS Certificate? Yes. If the individual leaves your organisation, moves to a position where there is no legal entitlement to the same DBS check, or withdraws their consent you must stop carrying out any further checks. If you continue to carry out Status checks on their certificate you would be breaking the law by accessing data you were not entitled to see. 11. How many Status checks can I carry out? You can carry out as many as you want, and as many times as you want, as long as you have the individual’s consent. 12. How often does the DBS search for updates on each DBS Certificate? When a person adds their DBS certificate to their Update Service account, the DBS will search regularly to see if any new information has come to light since it was issued. The frequency varies depending on the level and type of the DBS Certificate and based on the likely probability of such changes. 13. What is the frequency that the DBS will search for updates? For criminal conviction and barring information the DBS will search for updates on a weekly basis as this information can change frequently. For non-conviction information, which appears on a very small percentage of DBS Certificates and changes infrequently, the DBS will search for updates every 9 months. 14. Can I carry out multiple Status checks at the same time? Yes. Full details are available in the Update Service employer guide which can be found at www.gov.uk/dbs. 15. What information will I see when I carry out a Status check? o This DBS Certificate did not reveal any information and remains current as no further information has been identified since its issue. o This DBS Certificate remains current as no further information has been identified since its issue. o This DBS Certificate is no longer current. Please apply for a new DBS check to get the most up-to-date information. 16. What is likely to cause a change to someone's status, so their DBS Certificate is no longer current?  any amendment or change to a current conviction, caution, warning or reprimand.  any new, relevant police information.  if the person becomes barred for that list(s) checked on the Enhanced Certificate. 17. What should I do if an individual’s Status check reveals a change? You should have a discussion with the individual about the reasons why there is a change. You should then ask the individual to apply for a new DBS check. Any action you take before you find out the new information is matter for your organisation. 18. Can I find out if the change is because the individual has been barred from working in Regulated Activity?  You have the applicant’s consent. 19. How do I apply to find out if the Status change is because the individual has been barred from working in Regulated Activity? You will need to complete an online form and email this to the DBS. The form is available from www.gov.uk/dbs. You will receive a response within 5 working days. 20. How much will it cost to apply to find out if the Status change is because the individual has been barred from working in Regulated Activity? There is no charge for this service at the moment. 21. Can a Registered Body get a copy of the applicant’s DBS Certificate? If the individual has disputed the new DBS Certificate the DBS will not consider issuing a copy to the Registered Body until 28 days after the dispute is resolved. This is to give the applicant time to show the Certificate to the Registered Body /employer. 22. Can I print and keep a record of the Status check result? Yes, as long as you protect this information in line with the DBS’s Code of Practice and the Data Protection Act. Details can be found on www.gov.uk/dbs. 23. Can I keep a copy of the DBS Certificate which I have checked? You can only retain a copy of the DBS Certificate with the applicant’s permission. If you do, you must store this copy in line with the DBS policy on Storage and Retention of Disclosure information and the Data Protection Act. See the DBS Code of Practice. Details can be found on www.gov.uk/dbs. 24. After I have completed a Status check will the DBS notify me if the information revealed on the DBS Certificate subsequently changes? No. If you want to check if the DBS Certificate remains current you can carry out periodic Status checks with the applicant’s consent. 25. Do I have to tell the person each time I carry out a Status check of their DBS Certificate? You should always have the consent of the person before you check the Status of their DBS Certificate. All Status checks are recorded and can be viewed by the individual on their Update Service account. 26. Can I share the results of the Status check with anyone? No. If you are carrying out Status checks you must comply with our Code of Practice which sets out when, and with whom, you can share the results with. For further details please visit www.gov.uk/dbs. 27. If a DBS certificate was obtained for an individual carrying out their work from their own home, will the Update Service reveal new information about other individuals employed or living in their home? No. The Update Service will only check for updates based on the individual for whom the check was carried out – not the home address where the work is being undertaken or any other individuals employed or living at that address. 28. Can I check the status of a manual DBS Certificate? No. Unfortunately, if the individual’s DBS Certificate was not produced by the system they cannot link this to the Update Service. If they received a manual DBS Certificate they will have also received a letter explaining that it is a manual DBS Certificate and not a system generated one. 29. Is the Update Service available in Welsh? 30. How can I use the Update Service if our recruitment or suitability decisions are made centrally and not locally? We have designed the service to suit a wide range of organisations, from those that take decisions centrally, to those that delegate decisions about DBS checks to their local offices. 1. Obtain the applicant’s consent. 2. Ask the individual to send you their DBS Certificate. 3. When you receive it, check it’s the same type and level as you need and check if any information was disclosed. 4. Make a note of the applicant’s name as printed on the DBS Certificate, their date of birth and the DBS Certificate reference number. 5. Carry out a free, online check to make sure that the DBS Certificate is still up-to-date and valid. 6. Return the individual’s DBS Certificate. 1. Ask your local office to view the DBS Certificate. 2. Ask your local office to check if the DBS Certificate is of the same type and level as you need and if any information was disclosed. 3. Obtain the applicant’s consent. 4. Make a note of the applicant’s name as printed on the DBS Certificate, their date of birth and DBS Certificate reference number. 5. You can then carry out a free, online check to make sure that the DBS Certificate is still up-to-date and valid. 31. Will regulators accept a Status check to meet their requirements on inspection? The DBS anticipates that regulators will accept a Status check if the DBS Certificate being checked is the same level and type as is required by them. You should speak with your regulator to confirm their requirements. 32. Can I do Status checks through the e-bulk service? No. The two services are not integrated. 33. Can I join the Update Service with my DBS registration application form or when I apply to become a Registered Body or Countersignatory? No. Individuals can only join with an application for a DBS check. 34. Will there be any changes to the Tracking Service? 35. Why are you making changes to the Position Applied for field (X61)? At the same time as the Update Service is introduced, the DBS will use a new relevancy test when considering releasing non-conviction information about an individual, and this test will apply to the workforce which the DBS check is related to, rather than a single position or role, i.e. the Child Workforce, Adult Workforce, both Child and Adult Workforce, or Other Workforce (which applies if the person is not working with children or adults). This change means that individuals will be able to take their DBS Certificates from role to role within the same workforce. 36. What are the changes you are making to Position Applied for field (X61) on the application form? 37. Will this change mean less information is released by the police? This change should not reduce the information and will enhance the relevancy of their decision making. 38. I use the e-Bulk service; will I still get the same results when single DBS Certificate is introduced? The e-Bulk result will change slightly. You will still be notified if the DBS Certificate is blank but as DBS Certificates will no longer be issued to Registered Bodies we will change the wording relating to this. 39. How can individuals join the Update Service if they apply for a DBS check via an e-Bulk Registered Body? 40. I am an e-Bulk Registered Body; can I advertise the Update Service? 41. I am an e-Bulk Registered Body; can I offer to run Status checks for my clients?  An individual’s subscription will continue even if DBS Certificates are removed from the account. If the subscription is not renewed at the end of the subscription period the account will close. Any DBS Certificate attached to a closed account will be removed and organisations will no longer be able to carry out Status checks. 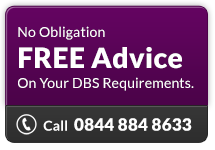 If a subscription lapses you will have to apply for a new DBS check and then re-subscribe to the Update Service.  The Update Service will only check for updates based on the individual for whom the check was carried out – not the home address where the work is being undertaken or any other individuals employed or living at that address.  Individuals may still require more than one DBS Certificate if their DBS Certificate is not of the same type and level of check required by an employer. Employers may require a different level or type of check to the one you have e.g. o Level: Enhanced not Standard check. Enhanced without a Barred List check. o Workforce: Child Workforce not Adults Workforce.  Sometimes it is not possible for the DBS to produce a system generated DBS Certificate. When this happens the DBS will issue a manual DBS Certificate. Manual DBS Certificates cannot be used in the Update Service. When a person adds their DBS Certificate to their Update Service account the DBS will keep their DBS Certificate up-to-date by *regularly searching to see if any new information has come to light since its issue.  Criminal record conviction and barring information will be searched for updates on a weekly basis as this information can change frequently.  Non-conviction information which is released on relatively few DBS Certificates and changes infrequently will be searched for updates every 9 months. The frequency condition is based on the number of DBS Certificates which reveal this type of information; the likely risk of new information coming to light in the time period; and the cost of checking for changes. If the names declared on a DBS Certificate attached to a subscription change, or are found to be incorrect, the DBS reserves the right to cancel the incorrect DBS Certificates attached to that subscription. Details of the card used to pay the subscription fee will be retained for the purposes of automatic renewal and refunds where appropriate. The DBS will be using a secure Payment Card Industry (PCI) Data Security Standard system.